Fresno, CA-Trail-Gear, Inc. released the latest addition to their Rock Ripper™ line today (Monday, May 7, 2012). 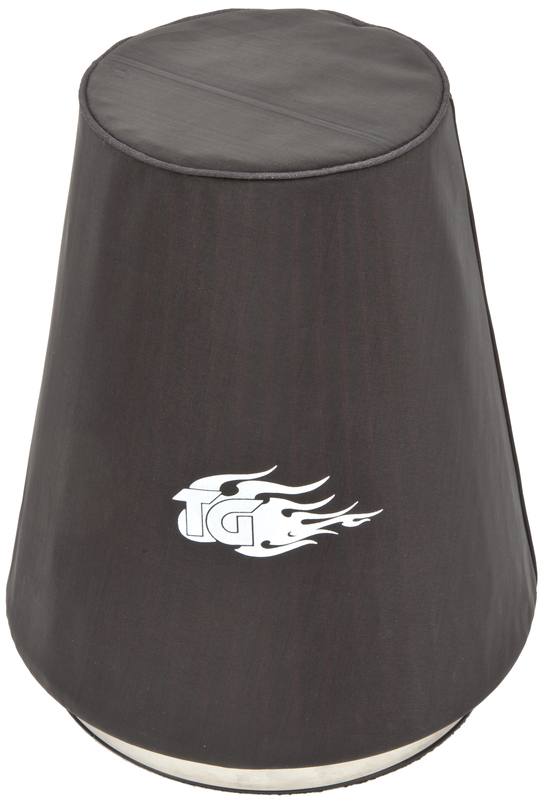 The Trail-Gear Rock Ripper™ Dust Defense Pre-Filter is made from high-quality polyester with an elastic cuff to ensure a snug fit and is designed to run without oil. It extends filter life by preventing large dust particles from entering the air filter, keeping it cleaner longer. The Trail-Gear Rock Ripper™ Dust Defense Pre-Filter provides an excellent value for end users. They are cheaper and easier to replace than the air filter itself. They provide an additional layer of filtration which helps to extend the interval between air filter changes. They are lightweight and convenient for users to keep a couple of extras in their vehicles for quick and easy changes on the trail or in the pit during races. They can be cleaned with mild soap and water and re- used. 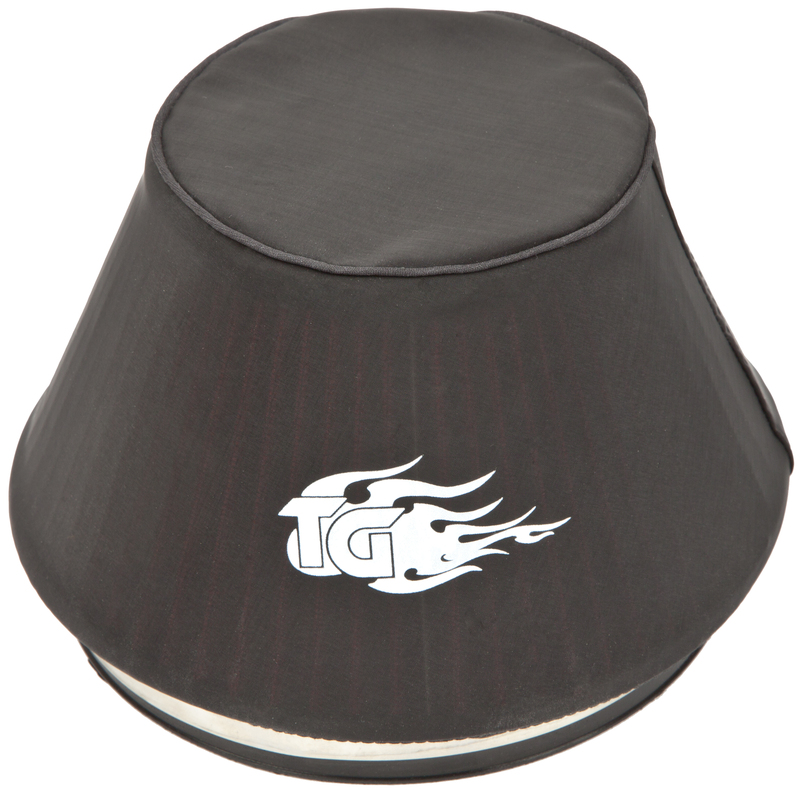 They come in black and are screen-printed with the Trail-Gear logo. The Trail-Gear Rock Ripper™ Dust Defense Pre-Filter comes in an 8.8-inch version and a 5-inch version. They are also compatible with equivalent filters such as K&N filters RU-3050 and RU- 4600. Interested parties may purchase Trail-Gear Rock Ripper™ Dust Defense Pre-Filters from any authorized Trail-Gear dealer or from the Trail-Gear website (www.trail-gear.com). The pre-filters retail on the Trail-Gear website for $19.95 individually or $34.95 for a 2-pack. For a limited time, Trail-Gear is offering consumers a free Rock Ripper™ Dust Defense Pre-Filter with the purchase of a Rock Ripper™ Cold Air Intake kit. All design and development for the Rock Ripper™ Dust Defense Pre-Filter was done at Trail- Gear, Inc. in Fresno, California. Trail-Gear, Inc. exhaustively tests all their products at some of the world’s hardest courses, such as “The Hammers” in Johnson Valley, California and the Rubicon Trail in Lake Tahoe, California.